Are you a considering a career in public service? Are you focused on developing or sharpening your leadership, critical thinking, and public speaking skills Then check out the Model NYC Council Project. 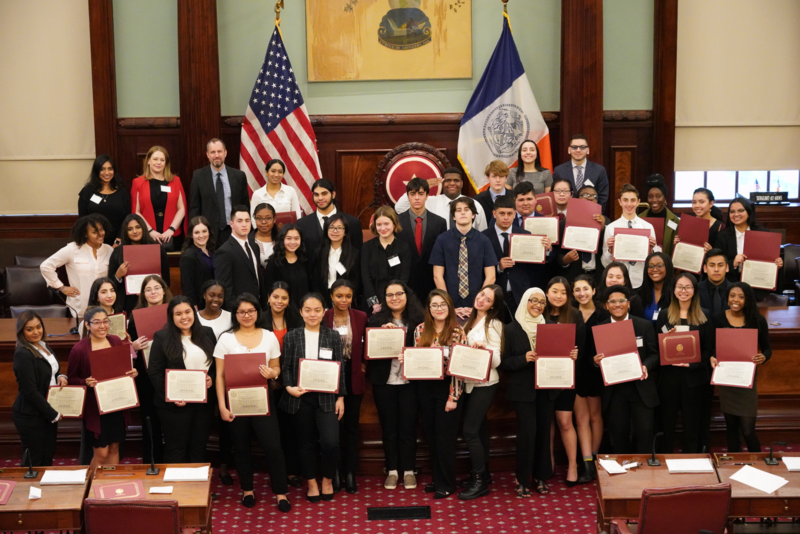 The Model NYC Council Project gives College Now students the once-in-a-lifetime opportunity to assume the role of a New York City Council Member and represent one of the legislative districts in the five boroughs. Participating in the program allows students to experience city government and public administration from the inside. Our faculty mentors guide students through what it means to be an active member of city government.